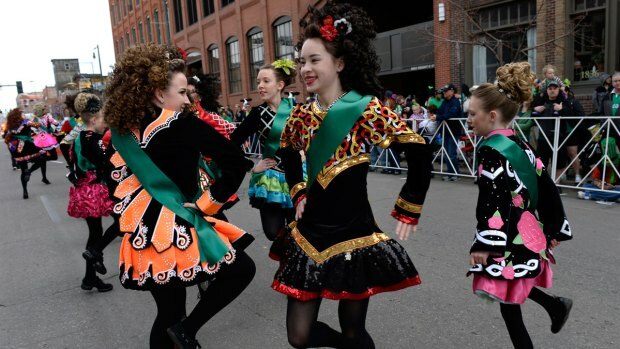 For more than 40 years, the Chicago Journeymen Plumbers have dyed the Chicago River green to kick off the city's St. Patrick’s Day Parade celebration. The union began dumping dye into the river at 9 a.m. Saturday. 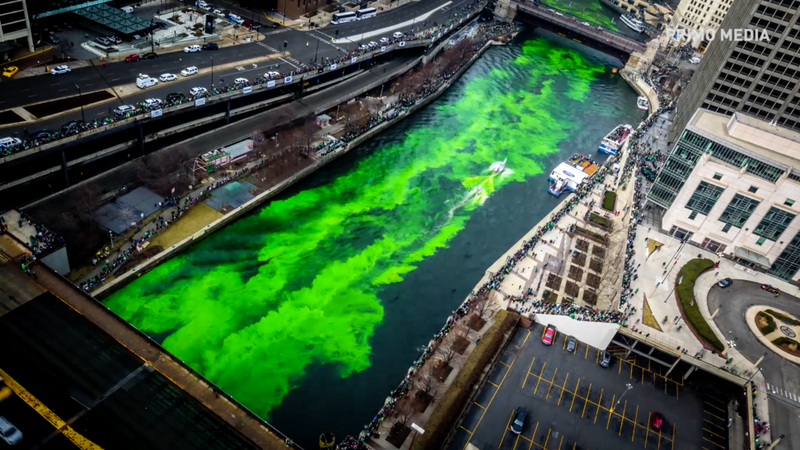 The environmentally friendly dye, an orange powder, turns the water bright green, and the formula is a secret, according to the Chicago Tribune. Forty pounds of powder were used this year. The river's vibrant color is brief: It typically lasts about five hours before darkening and fading away. YouTube user PrimoMedia shared a timelapse video of the tradition as seen from the Sheraton Grand Chicago. Other social media users, including Lou Hayes Jr., shared footage of their own.